As a former communist country, Bulgaria is still dotted with the grand monuments typical of that era. Concrete and metal were the main materials as a symbol of the industrialized country, and the size was one of the most important features—a common characteristic of all the communist relics are their gigantic dimensions. If you want to delve deeper into this period’s art, here’s a guide where to go and what to see. 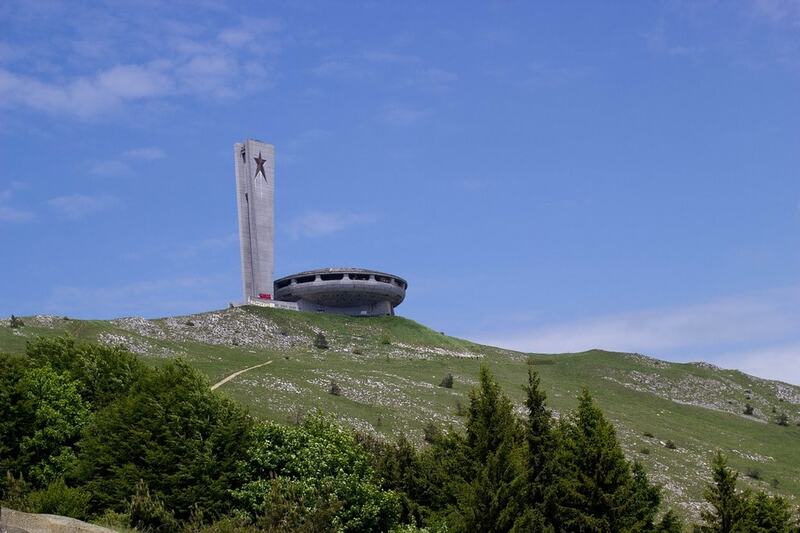 Buzludzha is one of the most controversial and world-famous communist relics in the country. This UFO-like crumbling monument is perched on a mountain top as if ready to fly off at any moment. It was built as a house-monument of the Bulgarian Communist Party in 1981. One of the most impressive parts inside it were the intricate mosaics inside the main hall telling the story of the party. The monument has been attracting urban explorers from all over the world, which is why 24/7 guards have been sent there recently. Kambanite (literally, The Bells) is a monument that was built for the international children assembly organized in Bulgaria in 1979 as an attempt at bringing together children from all over the world despite the Cold War. The monument points to the four directions of the world and has 107 bells symbolizing the peace message of every country. There is a picnic area around the monument where Sofia dwellers can be spotted on summer weekends. The National Palace of Culture, known simply as NDK, is one of the main architectural landmarks in Sofia. Its inauguration was in 1981 when Bulgaria celebrated its 1,300th anniversary with a host of preposterous events showcasing the greatness of the communist state. 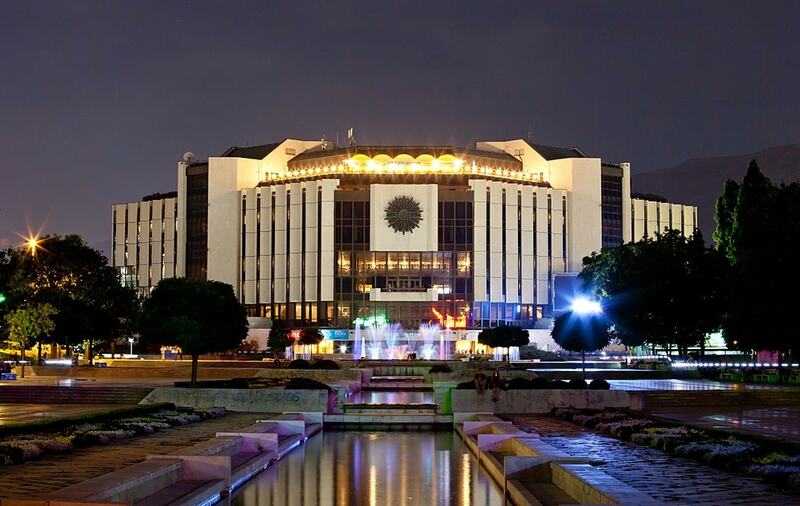 The National Palace of Culture has eight levels above the ground and three levels underground, with rumors that underground tunnels once connected it to other government buildings in the capital. The celebrations of the 1,300th anniversary since the foundation of the Bulgarian state were grand all over the country. 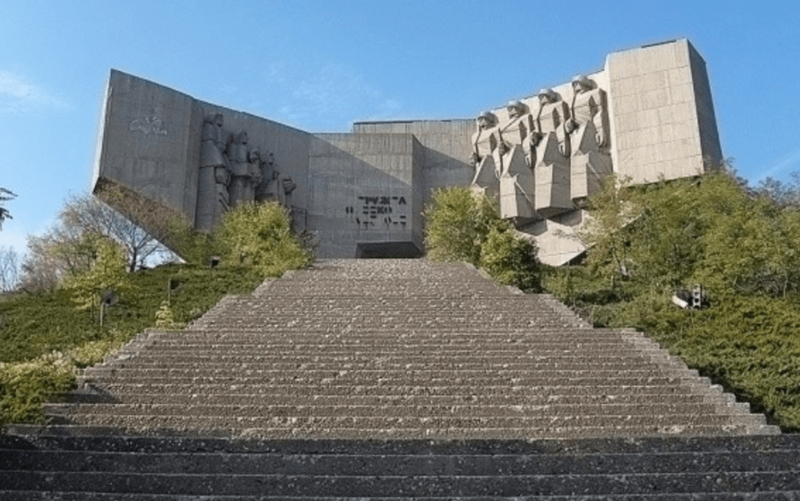 The city of Shumen, one of the main cities in northern Bulgaria, was chosen for a monumental complex dedicated to the first khans and kings of Bulgaria. It is situated on the plateau above the city, the highest point of the Danubian Plain. You can get there on foot from the city if you don’t mind climbing a few hundred steps, or by car. There is a flying ground for hang-gliders and small planes near the monument. This is the biggest monument in the whole Varna Region, set on a hill overlooking the sea so it could be visible from afar. It was built with the volunteer labor of nearly 30,000 people. Inside the monument there were festive halls, and a bomb hideout was built underneath it. After the end of the communist era in Bulgaria in 1989, it was closed and has been falling to ruin ever since. This 50-meter (165-foot) tall monument was built above the city of Stara Zagora in 1977 to commemorate the fights of the Bulgarians against the Ottoman Empire that eventually led to the Bulgarian liberation from its rule. The monument was designed to look like the flag of the Bulgarian revolutionaries. A hundred stairs lead to the monument. This monument to the Soviet army, basically a huge statue of a soldier, is better known as simply Alyosha in Plovdiv, the name of the prototype the sculptor used for the soldier’s face. It was erected in 1957 on top of one of the hills in Plovdiv, Bunardzhik, so it could be seen from everywhere. You can climb the hill and have stunning panoramas to the city from the monument.